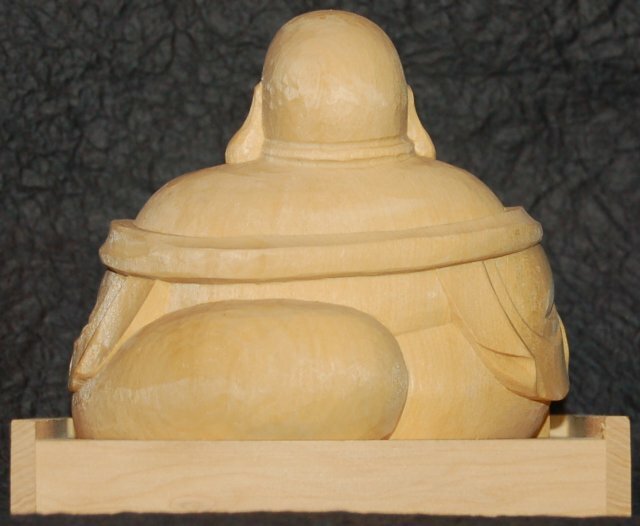 Associated VIRTUE = Magnanimity. Origin = China Taoism / Buddhism. 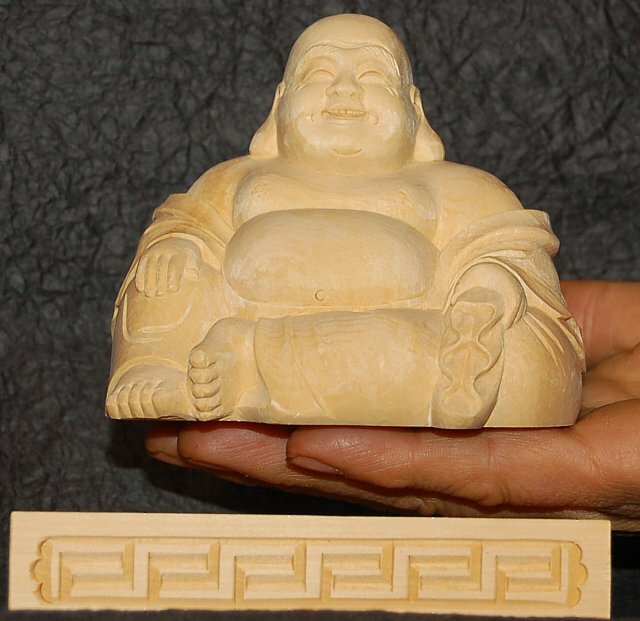 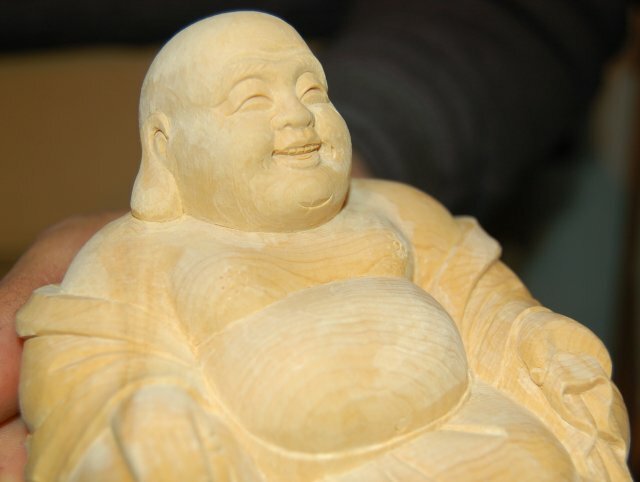 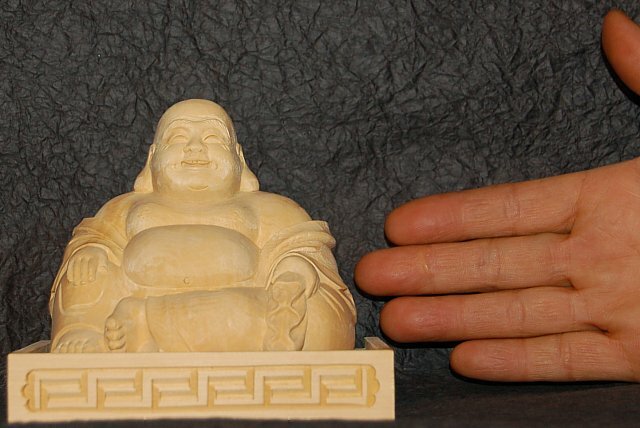 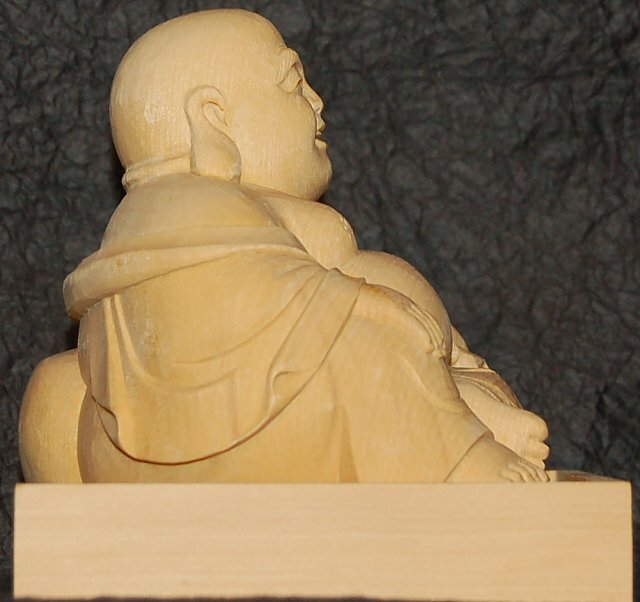 This modern wood statue is carved from Kaya wood (Japanese nutmeg), an aromatic wood with a delightful smell. 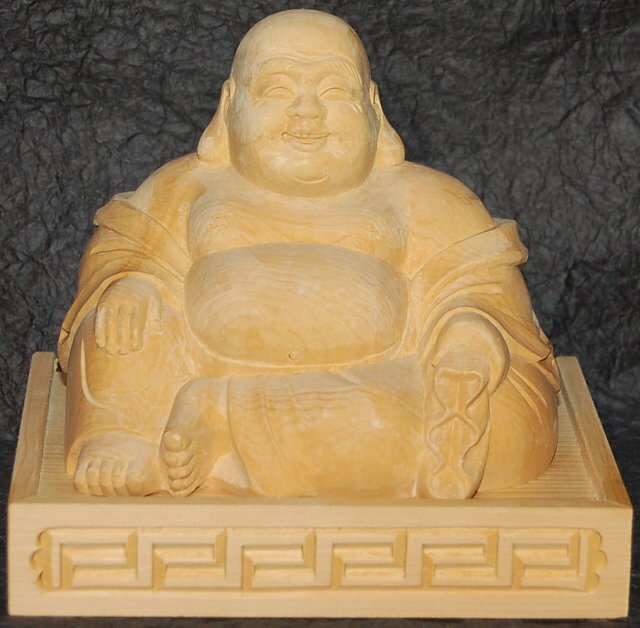 In Japan, Hotei is said to be an incarnation of Miroku Buddha. 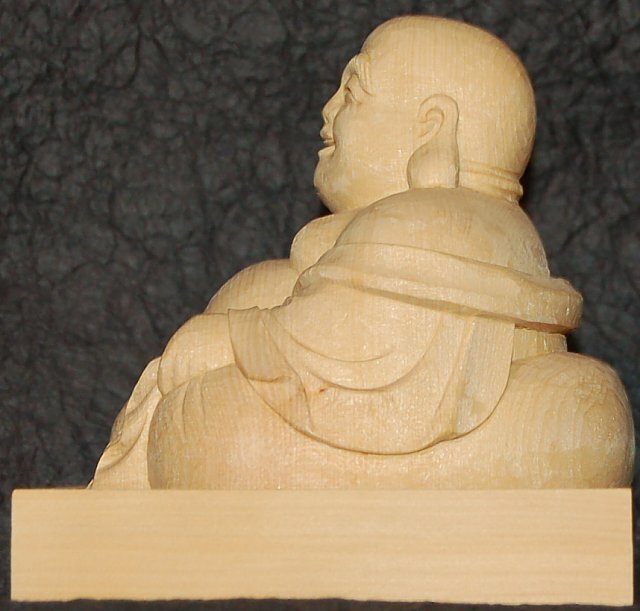 To learn more about Hotei, see Hotei background notes.